Whether it is for a living room, dining room, kitchen, bedroom or bathroom the UltraSky rlantern will be the perfect stylish solution for you. 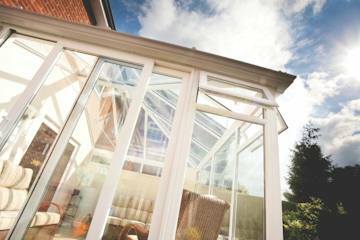 The UltraSky lantern is stunning, enhancing any style of property, traditional or modern alike. 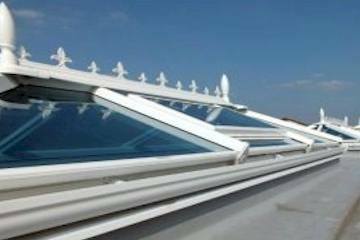 It reduces the need for a chunky roof ridge and maximises the amount of glass that allows light to flood into your room. SIZES. 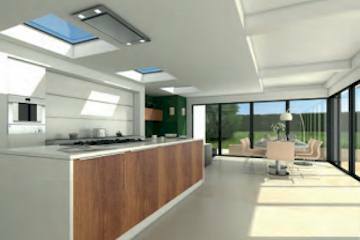 The UltraSky lantern roof is available in a number of bespoke rectangular sizes ranging from 1000mm x 1500mm to 4000m x 5850m. COLOUR OPTIONS. Choose the stylish White PVC option to match your modern window frames, or for that extra Wow factor go for the Aluminium option, available in White, Anthracite Grey or Satin Black. Internally the lantern roof is clad in white PVC or upgraded to anthracite grey or satin black to either match or contrast the external finish. GLAZING. 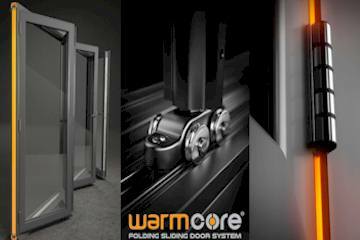 The highly thermally efficient glazing options will help reduce heat loss and noise pollution, whilst letting the desired amount of light into your room. EXTRAS. Add a roof vent to let in the fresh air. 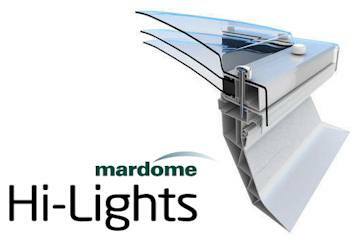 Roof vents are available with a manual opener, automatic opener or an automatic opener with rain and temperature control. * (roof vents only available in selected sizes). KEY PERFORMANCE CRITERIA. 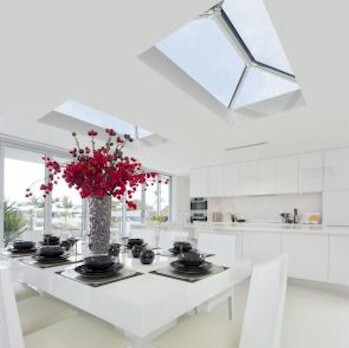 Rectangular double ended rooflights, with a width from 1000-4000*mm and a length from 1500-5850*mm. 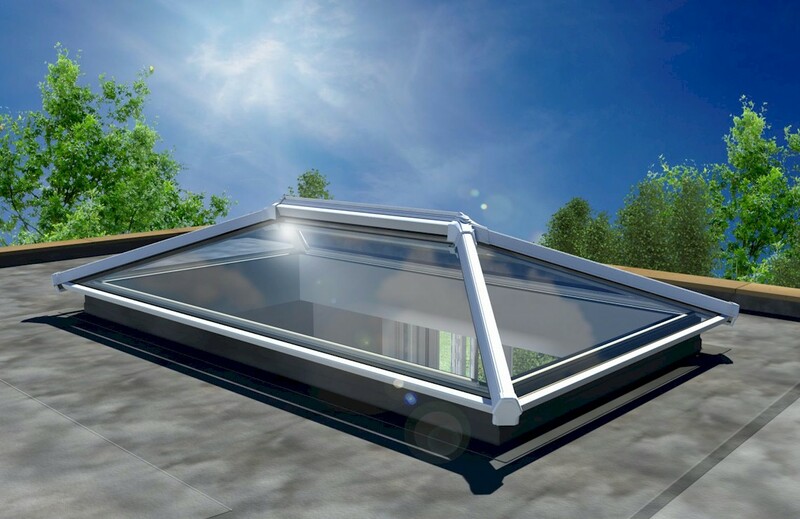 UltraSky Lantern is designed around maximum uninterrupted sight lines, bar numbers are reduced (or can be added if you prefer) and the ridge board and hub ends are as unobtrusive as possible. 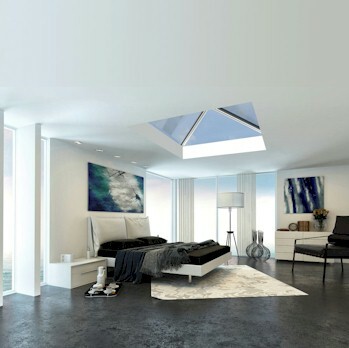 The UltraSky lantern is the perfect solution for a new build traditional Orangery, extension or can be inserted into an existing flat roof to help give you the feeling of light and space. 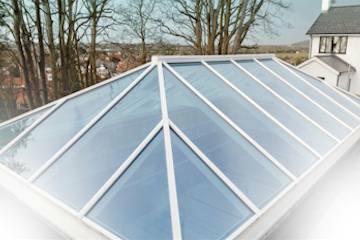 You can order UltraSky Roof Lantern direct from our online store.